Do you need help in getting a green card through marriage ? We understand family-based immigration and have helped many clients with it, including getting green card through marriage. This article is part of our series on green cards process. If you need more information, please keep reading. If you need help now, please contact us. A green card through marriage is one type of family based immigration. Another name for this process is Permanent Residence Based on Marriage. In all family-based immigration, your immediate relative petitions that you receive an immigrant visa. For the permanent resident based on marriage scenario, your immediate relative is your spouse. When starting the Green Card Application Process through the marriage process, it is very important to think of the goal. You want your spouse to get lawful permanent residency. Although the process involves lots of forms and documents such as form I130 and form I485, the goal isn’t to complete the forms or gather the documents. If you think about the process with the end in mind, getting your spouse a green card, you focus on what you must accomplish to achieve the goal. The government requires that every person petitioning for his or her relative must sponsor that person. Sponsorship means that you promise the government that your relative will not cost the government any money. To make sure that you keep your promise, the government requires you to complete a financial affidavit of support. This is an enforceable contract between you and the government. Immigration Resource Guide is there to help you with your green card, visa related problems. The government looks at how many people you are supporting, including the intended immigrant from outside the United States, and how much income that you have on your tax return. So the first issue in the family based green card application is making sure you, the petitioner, have enough income to sponsor your spouse. USCIS’s financial affidavit of support requirement confuses a lot of people. We understand it completely and can help you. We can also help you work out how to get your spouse here if you don’t have enough income. Once you know that you have sufficient financial resources to get your spouse a green card through marriage, the next major issue to resolve is where your spouse will receive the green card. If your spouse is in the United States with you, you can use the adjustment of status process to get a green card here. Your spouse may only adjust status here in the US if he or she is eligible for that benefit. 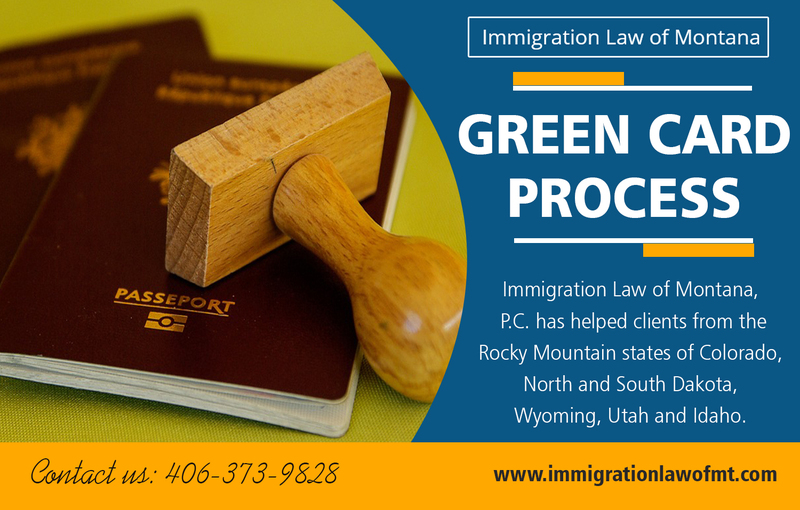 If your spouse entered the United States without inspection, he or she is not eligible to receive a green card here in the United States. Your spouse must receive a green card through consular processing. But, your spouse will probably need waivers to deal with unlawful presence in the United States. We have a separate guide on marrying an illegal immigrant. If your spouse is outside of the United States, you’re not eligible for the adjustment of status process. Instead, you are stuck with a two-step process, filing for the immigrant visa in the United States and then getting your spouse an immigrant visa through consular processing. Let’s look at the two scenarios for getting your spouse a green card. If your spouse is with you in the United States, USCIS regulations provide him or her with eligibility for adjustment of status. You would file the immigrant visa request, form I130 and adjustment of status request, form I485, concurrently. You would also include the financial affidavit of support to show that you qualify to sponsor your spouse. USCIS processes concurrent applications for an immigrant visa and adjustment of status locally. For example, if you live in Montana, the USCIS office in Helena will process your application. If you live in North Dakota, the USCIS office in St. Paul Minnesota will process your application. Lastly, if you lived in Wyoming, the USCIS office in Casper will be process your application. If your spouse lives outside the United States, you break the process down into two parts, first filing for the immigrant visa, form I130, and second filing for consular processing. Your immigrant visa petition is processed at a Service Center, which takes about 6 to 8 months. Next, the approved immigrant visa petition, form I130, is transferred to the National Visa Center (NVC) where you complete the paperwork and document gathering. Once the NVC agrees that you have completed all the paperwork necessary for the visa, it transfers the visa application to the US Consulate that processes immigrant visas in your spouse’s home country. Your spouse applies for the visa and comes to the United States. So long as you are legally married, the USCIS will provide a green card to your spouse if you complete the application process correctly. But, what type of green card will your spouse receive? If you just got married, or you haven’t been married for two years when your spouse receives his or her green card in the United States or enters United States with the immigrant visa, he or she will receive a conditional lawful permanent residency card. These conditional green cards expire. They are only good for two years. You and your spouse must remove the conditions on the green card. We have a separate guide on the removal of conditions process, filing the I-751, petition to remove conditions. When you file for your spouse to receive green card through marriage, that fixes his or her immigration situation, but it doesn’t do anything for your spouse’s children. You must file a separate application for your stepchildren. The federal government requires an immigrant visa petition, form I130, for each person that you wish to sponsor for a green card. 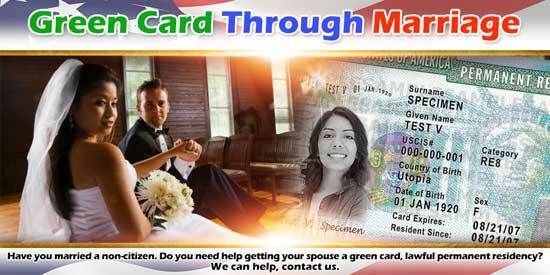 We have helped many people get a green card through marriage for their spouses. We are also very familiar with all family-based immigration, including filing for stepchildren to receive a green card. If you need help with this process, please contact us.